Axten’s birthday was yesterday and I had every intention of posting this last night after he went to bed, but he had other plans! 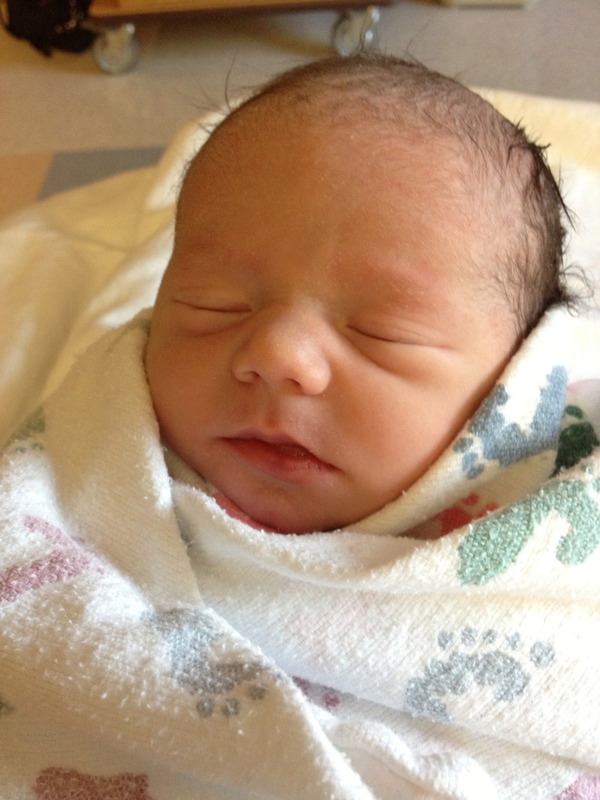 I’ll take snuggling with my “baby” over blogging any day! Oh, how in the world is this little guy two years old already!?!? Although if you ask him how old he is he’ll actually hold up five fingers and say five! 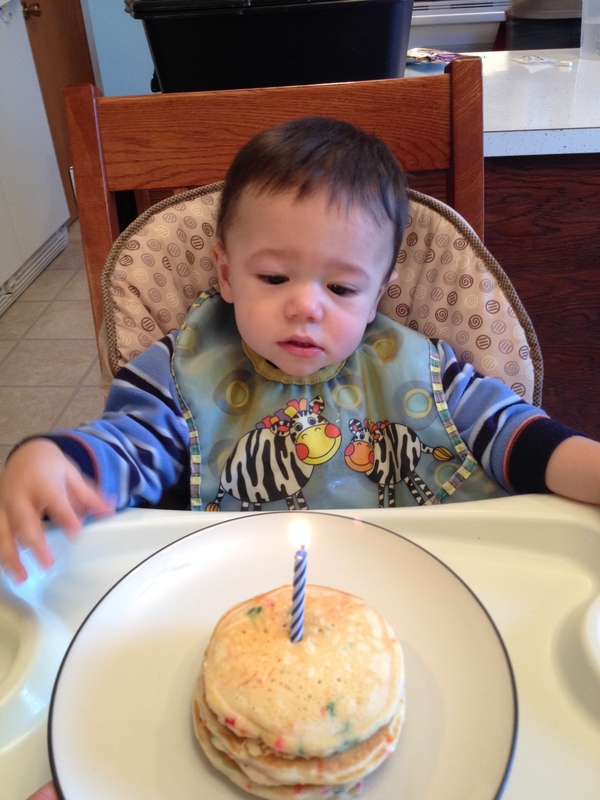 It seems just like yesterday that we were celebrating his 1st birthday. He was a little more serious looking last year! And in ways it seems like it was just last week when he was born. It’s just amazing how much little ones grow in the first few years of their life. They go from being teeny tiny little snugly babies, to being walking, talking, crazy two-year olds in a blink of the eye. Axten’s personality has not changed one bit, he’s always been the aggressive go-getter type, always trying to keep up with his older brother. He started walking/running around 10 months and hasn’t slowed down one bit! He absolutely loves anything that has to do with sports. His favorite words right now are “TOUCHDOWN” and “COMBINE”. 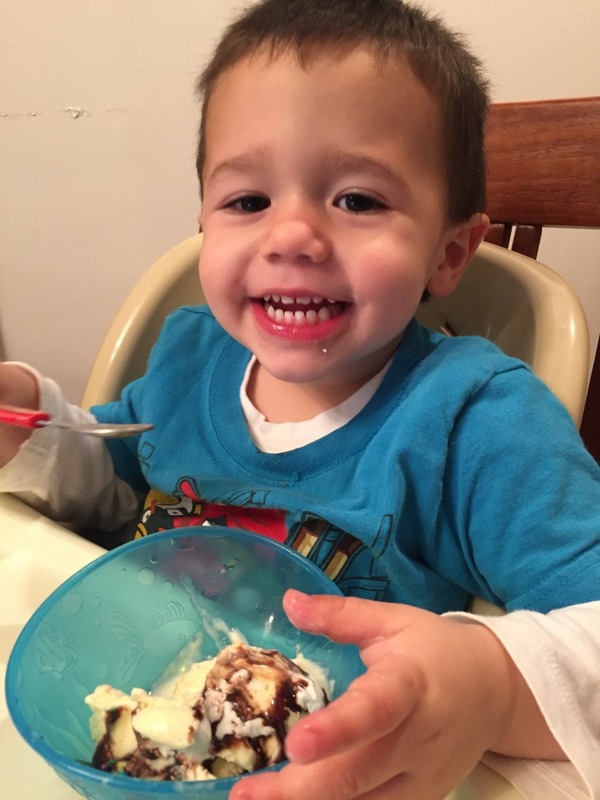 When it comes to food, he takes after his mommy and loves sweets. We’re saving the cake for his actual birthday party tomorrow, so last night we had birthday ice cream sundaes, he pretty much licked the bowl. 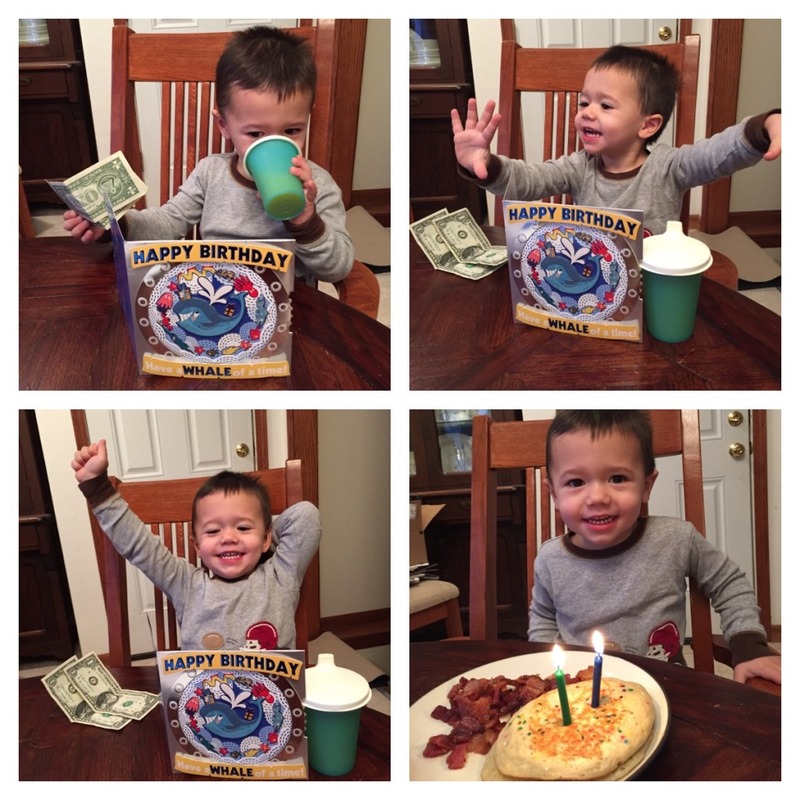 I also noticed in the pictures above that pancakes seem to be the breakfast of choice on birthdays. Another one of his favorites! This kid loves his food, sports, cows, dog, and riding in the tractor with daddy. He’s got a huge heart and can be so loving, but he definitely has that “terrible twos” streak in him too! He keeps us all on our toes, is a great helper, and still loves to cuddle. We are so blessed to call him our son! We love you Ax! Happy 2nd birthday!